Ihle’s at ZOB Munich serves a wide selection of baked goods (most of which are freshly produced on the premises) and much more besides. Although tailoring its range to local customers, Ihle’s bakery also has some tasty surprises in store! 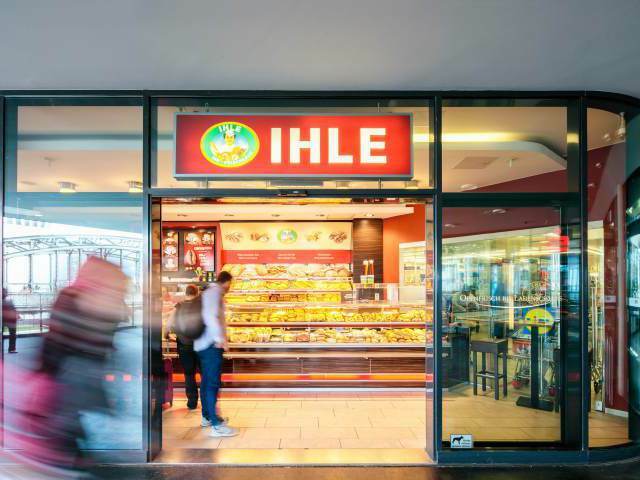 Ihle’s serves a range of about 150 different tasty products throughout the day – not just various types of bread, pretzels, cakes and pastries, but also pasta, pizza, hamburgers and coffee.